A: Are you busy tomorrow? B: Not so. But I have something to do in the morning. What's up? 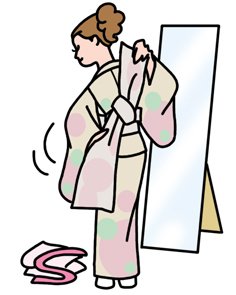 A: I want you to teach me how to put on 'kimono'. B: That's all right. OK, then let's make it in the afternoon.